On Monday February 4th, Business Intelligence Association went on the first company visit of the year. 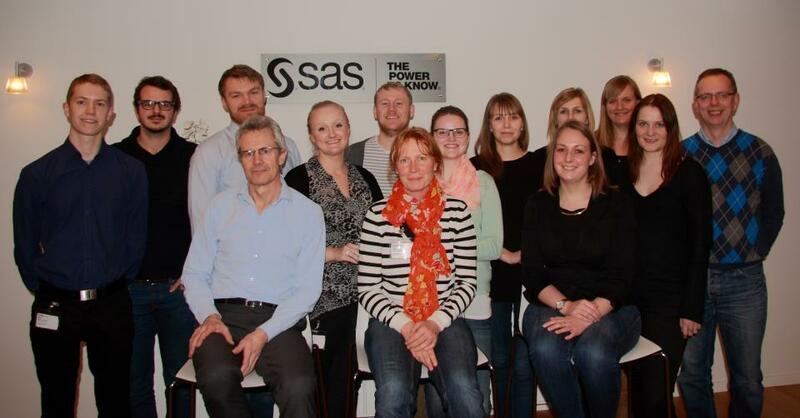 This time we visited SAS Institute at their office in Skanderborg, Denmark. SAS Institute is the leader in business analytics software and services, and the largest independent vendor in the business intelligence market. At SAS Institute we were greeted by Georg Morsing, Director of SAS knowledge and Education, as well as Academic Consultant Ane Gerken and Analytics Consultant Anne Olesen. First up we were given an introduction to SAS Institute by Ane Gerken, who presented company history, interesting facts, as well as what SAS offers to students. Next up was Georg Morsing. Georg has over 30 years of experience working at SAS Institute, and his presentation was divided into several parts. Firstly Georg introduced the SAS perspective on BI in the past, present and the future, elaborating and presenting concepts as Big Data and In-memory processing. Secondly we were given a walkthrough of how SAS BI software works, including application of several different BI tools and programs. Lastly Georg presented a company case and elaborated on the usefulness of SAS software and BI in general. Coming up after Georg Mosing was Anne Olsen. Anne was recently a student herself and was employed by SAS as her first job after graduation. Anne introduced us to her educational background as well as to what it is like working at SAS Institute. All participating members of BIA thanks SAS institute, Georg Morsing, Ane Gerken and Anne Olsen for hosting an interesting and educational company visit.